University of Pennsylvania researchers made a new discovery about the impact of periodontitis. Periodontitis often causes dysbiosis, which is a two-fold manipulation of the human immune system that diminishes the immune system’s effectiveness. The information appears in the journal Cell Host & Microbe. The periodontal bacterium Porphyromonas gingivalis impacts two pathways while eliminating immune cells and maintaining their ability to produce inflammation. 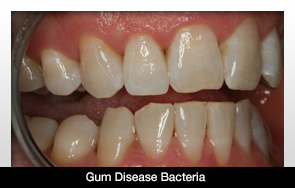 This saves the neutral gum bacteria from immune system clearance. But it also makes way for dysbiosis, producing bone loss and inflammation. The broken down products feed into dysbiosis. The resulting cycle, which is buoyed by the combination of inflammation and dysbiosis, worsens periodontitis. This bacterium, known as a keystone pathogen, could play a role in irritable bowel disease, colon cancer or other inflammatory diseases. The issue with this bacterium is that it can’t cause the disease by itself. It needs other, nonpathogenic bacteria to produce the inflammation. The goal of this study was to determine why molecules involved in P. gingivalis resulted in disease. Their research concluded that there could be new targets for periodontitis treatment and that a bacterial strategy may be in the mix for other diseases that involve dysbiosis.